Above: Boarded up windows and doors on Barclay and 23rd Street. Why? Because today Ross’ community and the group she leads, the Barclay-Midway-Old Goucher Coalition (BMOG), are celebrating a huge turning point for what has been, in recent years, one of the most blighted parts of Baltimore. After years of planning, Telesis, a national developer chosen by the BMOG and the city, recently closed financing on the first $18 million phase of a massive ten-year $85 million redevelopment plan that will produce 320 units of mixed-income housing scattered throughout Barclay-Midway-Old Goucher – an area grappling with a severe case of the malady that afflicts much of the city – dilapidated vacant housing. In an earlier era, this part of central Baltimore was known for its families with German roots, beautiful tree-lined streets, and three-story Victorian townhouses. Nowadays, some of the city’s poorest residents live here, amid boarded-up windows, graffiti-splattered buildings and flashing blue police surveillance cameras (See below for a 2000 census snapshot of Barclay) . But a robust array of community organizations have been working to improve the area for years through countless efforts including housing projects, community gardens, public art projects and rec center programming. These groups include the People’s Homesteading Group, St. Ambrose Housing Aid Center, the Barclay Leadership Council, the Old Goucher Community Association and the Greater Homewood Community Corporation. “My opinion is that the community has made significant progress in the ten years since I’ve been working here,” said BMOG Public Relations Committee Chair Brad Schlegel, who began distributing trash cans with his Lutheran Brotherhood in Barclay in 1999 and has been working in the community ever since. While years of effort helped improve the area, the city and neighborhood organizations took a dramatic step forward in 2006: The Housing Authority of Baltimore City and the Baltimore/Midway/Old Goucher Coalition (BMOG) selected Telesis Corp. to redevelop 268 city-owned scattered-site parcels into 320 units of mixed-income rental and for-sale housing units in the Barclay, Midway, and Old Goucher neighborhoods in four phases over the next ten years. “There’s an opportunity to build something new in vacant houses that wouldn’t displace other people, said Peter Duvall, who lives on Guilford Avenue and is president of the Old Goucher Community Association (also a member of BMOG). “In general I think they’ve listened to the neighborhood as much as possible, though the whole thing has gone slower than people would have wanted,” said Duvall. After almost five years of planning, Schlegel said he is excited construction will begin next week but wishes there had been more resident involvement in the process. So how exactly do those involved with the project think that it will make the Barclay area a better neighborhood? Stokes said there have been two goals in the planning process: To “make sure that the neighborhood continues to be affordable for people who have been there and to inject more of a market rate and home owner aspect to the area.” The latter was an important part of the new development for BMOG. Telesis has “been trying to balance both objectives very carefully,” said Stokes. The first phase of the above plan will begin next week and eventually produce 72 rental housing units, described as affordable (Telesis estimates that the rental price will be around $600 a month). These units will be a mixture of new and rehabbed units (the majority of which are boarded and vacant) and a combination of public and subsidized housing. Financing for the first phase of the $18 million project, which Stokes announced closed on Monday, has been provided by the Maryland Department of Housing and Community Development, the Housing Authority of Baltimore City and the Federal Home Loan Bank of Pittsburgh. ·	19 newly constructed units, mostly townhouses, on the west side of the 2100 and 2200 blocks of Barclay Street, where the Housing authority recently conducted demolition. ·	53 of the units will be rehabbed, 29 of which will be one-bedroom apartments located in Homewood House in Midway, a former schoolhouse and public housing building located at 2200 Homewood Avenue. The site will also include landscaping, a community garden, and a walking path. ·	The remaining 24 scattered site rehabbed units will be distributed among 12 buildings, and will be a mix of single family townhomes and multifamily buildings (Four of the buildings will be built on Calvert; two on 22nd; one on 21st; four on Barclay; and one on Guilford). 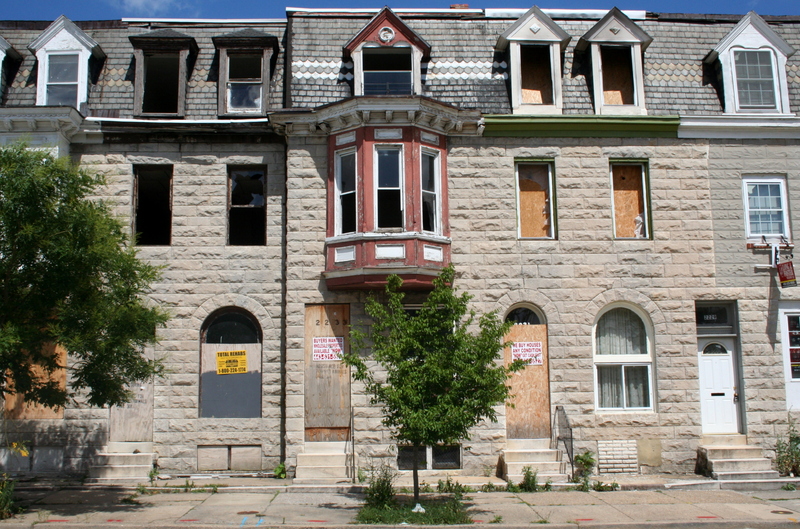 ·	53 of the 72 units will be monitored by Housing Authority of Baltimore City (HABC) but owned and operated by Telesis. (HABC has an obligation to replace former HABC housing in order to make sure the residents currently in the neighborhood can remain). These tenants will be selected primarily through a Housing Authority waitlist, according to Stokes. ·	All 72 units will be subsidized by Low Income Housing Tax Credit (LIHTC), and rents for all units will be 30% of the tenant’s income. ·	According to Telesis, the current average rent is projected to be $612 but will vary according to the type of unit. The four-phase redevelopment is the biggest ingredient in a large pot of revitalization efforts brewing lately in the BMOG community. Now residents there want to show the world how much progress they’ve made. On Friday, the Greater Homewood Community Corporation (GHCC) and the BMOG will host “Barclay’s Back!,” an event celebrating the first $18-million phase of the Telesis project and an array of new youth and arts programs, such as the new Axis Alley art installation featuring work by local artists (2000-2212 N. Calvert Street), and renovated houses in the anchors of Hope project. Though Brad Schlegel said residents voicing community concerns are the “missing piece” of the BMOG meetings, Connie Ross hopes that Friday’s event will bring actual residents into the process. “The purpose for that is to let the residents know about the redevelopment and get them involved in it,” said Ross, at Monday’s meeting. The event will include a 3pm community press conference at Dallas F. Nicholas Elementary (201 E. 21st Street) followed by a block party and neighborhood tours between 3:30 p.m.-7 p.m. The event is open to the public. The BMOG Coalition consists of the following community organizations: The Barclay Leadership Council, the Old Goucher Community Association, the Greater Greenmount Community Association, and the Peoples Homesteading Group. They meet the second Monday of every month. (On Federal holidays, they meet on the third Monday). ·	36.7 percent of families were below the poverty level in 1999; 38.7 of individuals. Someone is expressing their wishful thinking by editing former Baltimore mayor Martin O’Malley’s bench upgrades. Reaction in Baltimore’s Enoch Pratt Library, as Obama takes the oath of office. Fine for Stuart Little, but what about the rest of us? From a utility pole in north Baltimore. Sam Sawyer (in center) and his board members of the Sweet Prospect Church, on the spot where their church use to be. Sam Sawyer flanked by board members of the Sweet Prospect Church, in the spot where the church use to be. Charlotte Johnson sits in front of her former home that is slated for demolition. Review of sediment sampling suggests toxics worsening. Foreclosure left a mess next door to Russo’s house. The Baltimore Sun was at Artscape, offering free umbrellas, oil change and movie coupons to those who subscribed. The Baltimore Sun had folks at Artscape offering oil change and movie coupons to those who signed up for home delivery. The Red Line is not good transit and not good for the communities it crosses, says Warren Smith. Jean Allen, who lives below Edmondson Avenue in Edgewood, thinks the Red Line will hurt more than help. Estelle Kent, of Lower Edmondson Village, believes the Red Line will uplift the area. Bart vandalized the Jebediah Springfield statue……but felt remorse and tried to undo the deed. Tony Geraci is on a mission to bring fresh food to Baltimore city school students. Photo by Kristine Buls. Stephen McAllister in the Curtis Bay ditch where he protested pollution, back in the day. Photo by Fern Shen. Severstal report by URS Corp.
Andrew Goldbeck in 2001 run. From Calvert Hall website. First Turkey Bowl, 1920, photo courtesy Loyola High School. Loyola kicks off in Turkey Bowl. Courtesy Loyola High School website. Gingko fruit in the pan. Photo by Marta Hanson/////. Developers proposing a Lowes in Remington lead community walking tour on Saturday. Photo by John Dean. Developers lead a walking tour of proposed Lowes development in Remington. Photo by John Dean. CLICK TO ENLARGE. Suggestions for Anderson Automotive project. Developer’s plan, marked up by Neily. This red brick building is at the corner of Park and Fayette. Superblock building on Howard Street…. Sunny Jenkins and Lesa Bain of Curbside Catering sold beaucoup burritos Thursday in Hampden. From 12/16/10 Baltimore Sun homepage. YouTube by Baltimore Mayor Stephanie Rawlings-Blake following Ravens loss. Helen Cruz reads in English with her son Joseph, 7, a student at Holabird Academy in southeast Baltimore. The Baltimore Liquor Board YouTube channel features this photo of Chairman Stephan Fogleman, and fellow commissioners Elizabeth Smith and Harvey Jones. MacKenzie’s Tom Fidler (left) with Lynne and Victor Brick. From Kevin Litten’s Twitter. Illustration from NextCity piece on Baltimore Brew and other promising new online local journalism sites. Route map, from appendix to Department of Finance report on Charm City Circulator. Cheryl Casciani’ and Martha-James Hassan at the Baltimore City School Board’s recent operations committee meeting. A rendering of Under Armour’s proposed headquarters in South Baltimore. Sheila Dixon speaking with Real News Network outside fundraiser. Sen. Bernie Sanders addresses an estimated 2,000 people at Johns Hopkins University’s Shriver Hall. Exhibit E, Cross Street Market management agreement. From “Trouble in the Air,” a report by Environment Maryland Research & Policy Center. Originally built as the Art Deco Brager-Gutman discount department store in 1929, the building was considered a “high rise” at the time and was eventually re-appropriated as Epstein’s Department Store. Located on the Southwest corner of Park and Lexington, Epstein’s went on to become the oldest family-owned department store chain in Maryland This is one of the few historic properties on the Superblock that the developers propose to preserve. Jon M. Laria, an attorney working with the developer, talks to the community. The Schulte United Five and Dime Store, with an intricate terra cotta facing and gold eagles below the roof line, was one of the most well known discount stores on the department store-laden area in the 1900s. Though it is eligible for status as a local historic landmark, the Lexington Square Partners are proposing to demolish it. Formerly Woolworth’s, and later a Valu-Plus discount store, this building was not considered historic until a modern metal façade was removed to reveal a handsome brick building with Grecian designs. The developers are proposing to demolish it. The Art Deo McCrory’s Building, inlaid with intricate yellow and blue geometric tile designs and lettering with the original McCrory name is one of the most beautiful and unusual buildings on the block. It reflects an architectural style that was beginning to gain popularity among retail buildings in the 1920s. Though the building is eligible for local historic landmark status, the developers plan to demolish it. At the southeast corner of Howard and Lexington, the Read’s drugstore built its flagship building, designed by Smith and Mary Architects in 1934. It is an example of some of Baltimore’s best Art Deco architecture. A ship’s mast adorns the corner that overlooks the Howard and Lexington corner. Due to mold and water damage inside, the developers plan to demolish it. On the fourth floor façade are terra cotta sailing ship panels built to commemorate the 300th anniversary of Maryland’s founding settlers, which coincides with the year the drugstore was built. A ship’s mast adorns the corner that overlooks the Howard and Lexington corner. Due to mold and water damage inside, the developers plan to demolish it. The Cast-Iron McCrory’s Building, one of the last 20 cast iron buildings left standing in Baltimore, was originally used as three individual shops before being purchased by the McCrory’s Company and incorporated into one large department store. The northern building was built in 1875, and the most southern building dates to 1908. The developers propose saving only the facades. The little theater on Howard, originally designed as the New Pickwick Theater by Philadelphia architect Franz C. Koenig in 1908, this tiny box-shaped theater is the last Nickelodeon theater still standing in Baltimore. The theater was sold in 1917 and reincarnated as the Howard Theater in 1924. Architect Oliver B. Wright remodeled the building in 1920, which included adding a brick and terra-cotta exterior. The theater closed in 1985. It would be demolished under the developer’s plan. Depicted here in its prime, the original exterior of the New Pickwick Theater was illuminated by 800 lights and crowned with a sunburst-adorned face. Photo compliments of Baltimore Heritage and WestsideRenaissance. The four-story building is an early example of steel framing. The extra support eliminated the need for large pillars, which in turn allowed for the use of more glass; hence the large bay windows. The developers would preserve this building. The two rowhouse buildings are examples of early rowhouse buildings that would be demolished under the developers’ plans. In recent years this and the other small buildings depicted in the following slides were used as jewelry store, bar and lounge, clothing store and hair salon. They include examples of Pre-Civil War buildings that the city and state deem a preservation priority. All would be demolished by the developer. One of the largest buildings on the block, the former Greyhound bus terminal was constructed in 1960, has no historic merits and would be demolished.